20 years since the Game Boy came out? Man I feel old. I was 5 years old at the time in 1989 and I was already a gamer for 4 years so...yep I indeed had one. I actually still have my original Game Boy, the odd long orange carry case (more of a reason I always refer to the 1980's as the 'awkward 80's') and good old Tetris. 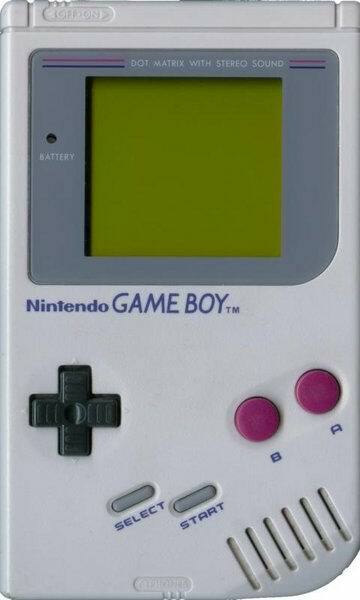 Anyone got any good Game Boy memories? I so remember this commercial. Was on Nickelodeon when I was watching Double Dare, Fun House and Count Duckula. Thanks to Engadget for letting me know of the GB reaching the big 2-0.
haha, I wanted a Game boy but I didnt like the grey screen, but it was better than atari.